“Reeled out with the chilling calmness of a Hitchcock film, Above haunts as it illuminates. Deftly told, this tale of human resilience in the face of madness is a horror classic for our times” (Lynn Cullen, bestselling author of Mrs. Poe). 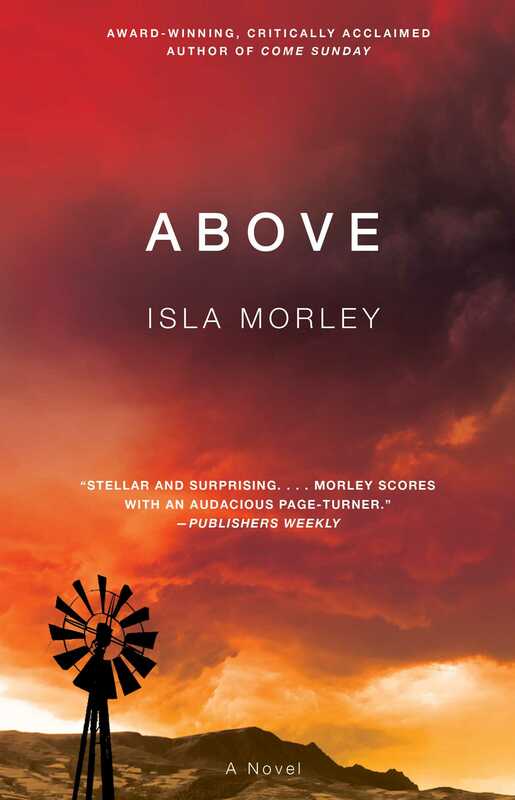 This reading group guide for Above includes an introduction, discussion questions, ideas for enhancing your book club, and a Q&A with author Isla Morley. The suggested questions are intended to help your reading group find new and interesting angles and topics for your discussion. We hope that these ideas will enrich your conversation and increase your enjoyment of the book. When Blythe, a sixteen-year-old girl from Eudora, Kansas, is abducted and held captive underground by a conspiracy theorist who believes he is saving her from the end of the world, she imagines her greatest challenge will be finding a way to escape. But as her years in captivity pass, Blythe begins to realize she must also struggle against crushing loneliness, the encroaching madness of her captor, and the persistent temptation to just give up. Nothing, however, can help her prepare for what will be her greatest challenge—raising a child in confinement. Out of terror, she must fashion wonder for the boy, setting aside the truth about a world he may never see for the myth that just might give meaning to his life underground. After seventeen years of captivity loneliness, and the trials of raising her son, Adam, a shocking event offers them the opportunity to escape—only to discover a world radically different from the one Blythe left behind. As Blythe and Adam navigate the dramatically altered landscape, and confront the truths hidden behind their captor’s madness, they must find a way to forge a new life in a strange and dangerous world. 1. The book opens with Blythe already held captive by Dobbs. What effect did this have on your understanding of Blythe and her life before being kidnapped? Why do you think the author chose to reveal Blythe’s early life through flashbacks, and in small pieces? 2. Like with Blythe, we come to understand Dobbs and his psychosis over time. How does Dobbs compare to other kidnappers in real life, or in fiction? Were there aspects of his character that surprised you? Explain why. 3. Blythe characterizes Dobbs and his madness on page 36 as “a kind of craziness you can’t tell from the outside. Only the whistle gives him away. There’s harm in that whistle . . .” Do you agree with this identification of Dobbs, and of psychosis generally? Do you think it’s something that can really be hidden, or just missed, not noticed? 4. On page 27, Blythe says, “I give myself the small task of finding the sweater, believing if I can do this, I will be able to do greater things when the time comes.” What other techniques does Blythe use to cope with and negotiate her way through being a captive? How does she adapt to her unbelievably difficult situation? 5. While Blythe is held captive in the silo, she frequently imagines a monster, always hidden out of sight or in the darkness. What does the monster mean to Blythe? Does it have a specific symbolism? Is it just her imagination? 6. What does memory mean to Blythe during her captivity? How is it a double-edged sword for her, making her time both easier and more difficult? 7. Over time, Blythe begins to focus less on escaping her situation and more on making her own day-to-day life tolerable. How does this change come about, and why? Is it part of Dobbs’s manipulation or Blythe’s coping mechanisms? How does the arrival of first Charlie, and then Adam, affect this shift? 8. Blythe’s first pregnancy, then Charlie, and finally, Adam, changes everything about her situation. Discuss some of the ways in which they alter Blythe’s priorities, goals, and life in general. How do they each affect the dynamic between Dobbs and Blythe? 9. As Adam grows up Blythe must make choices about how best to raise him—and decides primarily to “play along” with Dobbs’s story. What do you make of this decision? What do you think led Blythe to this choice? What effect does this have on Adam? 10. What are the first hints that Dobbs’s story might not be entirely false? When did you begin to suspect that the world outside of the silo wasn’t as Blythe left it? When Blythe and Adam finally escape, what was your reaction to the reality of the world outside? How did the author make this twist so effective? 11. Right before Blythe and Adam leave the silo, Blythe reflects on her time there and says, “You can’t see change; you can only feel it.” (p. 229) What do you think this means? Do you agree that real change is something that you feel more than see, or touch? 12. As Blythe and Adam find their way in the strange and terrifying landscape outside their captivity, what surprised you most about Blythe’s reactions and choices? Do you think you would act differently in her place? Is it possible for you to imagine yourself in Blythe’s shoes? 13. Discuss with your group the change in Blythe’s attitude toward Dobbs after her escape—how does it evolve, and why? Were you shocked by the feelings she comes to have for him as the book ends? Would you characterize it as sympathy, or something different? 14. The explanation for why the world is the way it is, i.e. what has happened since Blythe was kidnapped, unfolds slowly, and only after Blythe and Adam have been free for many days. What effect did this have on you as a reader? Did your confusion help you identify with Blythe? 15. Read Blythe’s conversation with Ginny on pages 379–382. How is Blythe’s relationship to the post-apocalyptic world a metaphor for her struggles readapting to the world after escaping such trauma? Which of Blythe’s struggles have to do with the changed world, and which are particular to her kidnapping and captivity? How do these intersect? 16. On page 420, Blythe says, “I am the one who has swallowed the darkness.” What does she mean by this? What are some of the difficulties that Blythe has adapting to freedom? Why do you think she deals with things the way she does? 17. Blythe’s evolving understanding of freedom becomes a major theme in this novel. What does freedom mean to you, and what does it mean to Blythe? Can a person in captivity ever be considered “free”? And conversely, in what ways are the people “above” captives? 18. At the end of the book, Blythe says of Dobbs, “Maybe forgiving him a little at a time is the only way I’m ever going to be free of him.” Discuss this idea with your group: Can you imagine forgiving Dobbs for all he did? Do you think Blythe is right that forgiveness is the only way for her to move forward? Were you surprised at how far she has come from the beginning of the book? 19. One of the most important symbols of the book is Blythe’s grandfather’s watch and its inscription. What does this mean for Blythe during her time in captivity, and how does its meaning evolve for her over the course of the book? 20. Home is a very important concept to Blythe. What does home mean to Blythe when she is in captivity, and how does it change during that period, and especially after her escape? 1. Blythe’s experience being kidnapped and held captive, while fictional, is similar to scenarios that have occurred in real life. One remarkable example of this is the story of Jaycee Dugard, who was kidnapped at age 11 and held captive for eighteen years. 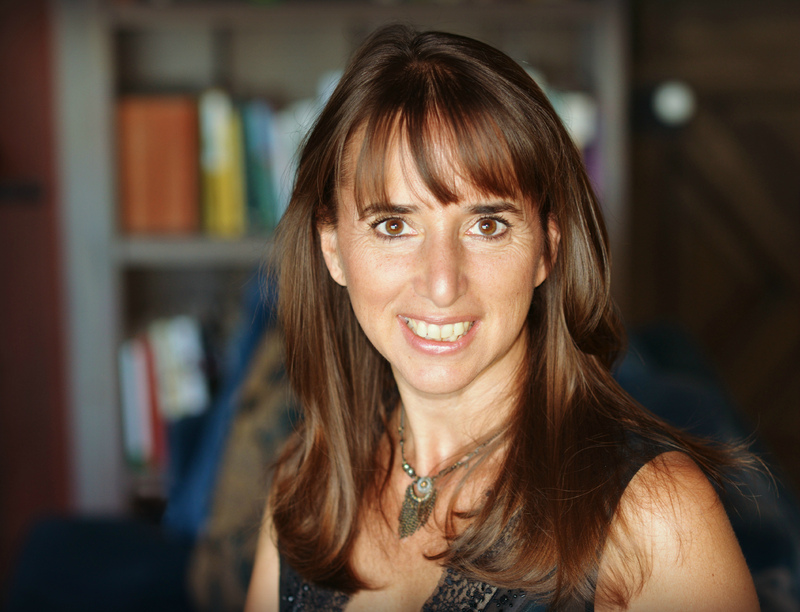 Her memoir, A Stolen Life, tells the story of this time, and her life afterward. Read it with your book club and discuss how it resonates with Above. What are some of the similarities between Jaycee’s real experience and Blythe’s fictional one? What are some of the differences? How did they cope with their captivity and adjust to life afterward? 2. The second half of Above deals with a world radically altered by an apocalyptic event. There are many examples of post-apocalyptic fiction in contemporary writing—choose a book (or a movie) that deals with a post-apocalyptic scenario, and present it to your group: What is similar between the example you chose and Above? What’s different? How do people cope with each seemingly impossible situation? What remnants of society remain? Which are gone forever? What do you think holds our attention about these scenarios? What can we learn from them about our own situation? Some good examples of apocalyptic literature you might try: Rivers by Michael Farris, Wool by Hugh Howey, The Road by Cormac McCarthy, and White Horse by Alex Adams. 3. Continue the story! Jump five years into the future, and write what you imagine is happening in the world of Blythe and Adam, from either of their points of view. Where are they? Who are they with? Be creative, and write as much as you want—a few paragraphs, or a few chapters! Share with your group. What did you imagine similarly? What surprised you about each other’s stories? A Conversation with Isla Morley The combination of the story of Blythe’s captivity and her struggle to survive once she escapes with Adam is one of the things that makes Above so unique. Where did you come up with the idea to combine these two stories? Did you always think of them as one continuous tale? Initially, I envisioned a story that only explored the harrowing ordeal of being a captive, and the added challenge of raising a child in captivity. As the mother of a young daughter, I was aware that part of my role was narrating the world for my child rather than always explaining it, so I wondered what a mother who is kept hostage, whose child is kept hostage, would edit from the narrative in such dire circumstances. Would she have Below remain the dungeon it had always been for her or would she somehow make it a place of safekeeping for her son? Would she portray the outside world as an idyllic place and have her son long for it when he might never experience it, or would it be better for him if she depicted it as a place of ruin? Fable, as we all know, is sometimes kinder than fact. Almost two years into writing the book, I suddenly wondered what would happen if fable turned out to be fact. Above quickly went from being a story about a woman’s survival and self-sacrifice to one about the resiliency of the human spirit, the resiliency, in fact, of all life. Having Blythe and her son explore the post-apocalyptic world allowed for healing and creativity and more daring than ever. It called for greater courage: the audacity to love again. Above is such a departure, in terms of subject matter, from your previous book. What was most challenging about the writing process of Above? What was new to you, and what was the same? Writing Above required a lot more research than Come Sunday, which relied greatly on my personal experiences of growing up in South Africa and also of being a mother. For Above, I read many true-life accounts of people who had lived in isolation; for example, survivors of the Holocaust who lived for years in caves to avoid detection, and people living under New York City in the subway tunnels. I read philosophical essays and psychological books like Viktor Frankl’s book, Man's Search for Meaning. I also spent many months researching everything having to do with Cold War–era missile silos, survivalists and the New World Order, and I now know what weapons are best to include in an arsenal in the event of TEOTWAKI (The End of the World as We Know It). Even the setting of Above was something I had to research, and involved a couple of trips back to my husband’s hometown of Eudora, Kansas. But even though the subject matter is quite different, both novels were driven by complex female characters whose trajectories take them from tragedy to redemption. The trauma that Blythe goes through at the hands of Dobbs is incredibly difficult to read about—was it hard to write? How did you deal with such dark material? It wasn’t hard to write dark scenes. For me, it is harder to write about everyday life, about the small, almost invisible shifts that happen in relationships and to a person’s soul over time. A catastrophic event, however, happens with an immediacy that lends itself to storytelling. Characters are forced to take risks and to make difficult choices, often right away. The kind of ennui that happens as people insulate themselves from any kind of risk, the kind of wearing down of the human spirit millimeter by millimeter—that must surely be harder to capture on the page. Still, there were scenes I edited out of the final manuscript because I found them too disturbing to read. Blythe’s character is such a strong resilient person—but she’s also very realistically portrayed, with her own weaknesses and struggles. Is she based on someone from your life? In order for any character to be believable, there has to a mix of good and bad in her makeup. The most interesting heroes are always flawed, and the best villains are the ones who surprise us with a capacity for kindness. Blythe wasn’t based on a person I know, but Adam was inspired in part by a boy I knew and loved. Blythe’s realization of the positive things that Dobbs did, and her eventual forgiveness of him, was one of the most shocking parts of the book. How did you see Blythe’s forgiveness of him? Did you see that coming all along, or were you even surprised by it? Forgiveness is often surprising. We expect justice to solve everything. When I wrote the scene where Blythe defeats Dobbs I thought that would be the end of her torment, but following her further, I realized that Dobbs had taken up residence in her head. The only way she was going to be free of him was to forgive him. Blythe realizes that to withhold forgiveness is to remain shackled to the wrong-done and the wrong-doer. Seeing the world outside of the silo through Adam's and Blythe’s eyes makes for such an exciting, bewildering reader experience. What made you decide to hold back the story behind that world for the reader? I wanted the reader to experience what Blythe was experiencing—that initial sense of wonder quickly complicated by disorientation, uncertainty, and then alarm. Instead of having an explanation ready, I wanted readers to imagine for themselves what had happened to the world. The post-apocalyptic environment is so realistically and compellingly portrayed—was that something you were interested in before? What are some of your favorite examples of post-apocalyptic literature or fiction? I’ve read very few post-apocalyptic novels. I loved McCarthy’s The Road and Atwood’s The Handmaid's Tale. Much of what I’ve read or seen in movies involves desolate landscapes, scorched places that are scrubbed of life. I wanted something different for Blythe’s world. For this, I read articles on Pripyat, the town most acutely affected by the disaster of Chernobyl. Although highly controversial, some studies indicated that after twenty-five years, the area had become a wildlife haven. This inspired the landscape of post-apocalyptic Kansas. Much more influential to me than apocalyptic literature are those stories that have explored the capacity for hope in the midst of suffering. Why do you think post-apocalyptic fiction is so popular in contemporary writing? What interested you in dealing with that kind of environment? Whether it’s a personal apocalypse such as being stolen from the world and kept a captive for years, or an environmental apocalypse, stories like this appeal to us in part because they play to our greatest fears and because we want to imagine how we might survive. In our everyday lives, most of us provide for our families, are hospitable to our neighbors and are charitable to those in need—we know this about are ourselves. But are we capable of being generous and selfless when we are in peril, when our loved ones are in peril? Are we capable of forgiving when the ultimate wrong has been done to us? Are there limits to our goodness, and even our belief in goodness? Of course, the apocalyptic scenario taps into our secret worry that the crazies might be right, but at its deepest level, only stories that confront the fathoms of despair can help us explore the extent of our capacity for goodness. One of the strongest themes that emerges in Above is the idea of home—both as something that’s made and something that can’t be taken away (i.e. Blythe’s idea of her home in Eudora as always being her home). What does home mean for you? Home for me can no longer be located with coordinates. The home of my youth exists only in my memory. I can go back to the country, to the street, to the same exact house, but it is not home. A part of my home lies on the bottom of the Indian Ocean where my parents’ scattered ashes came to rest. I hear something of my home whenever I lay my head on my husband’s chest or hear him sing. I am at home when my daughter holds my hand, and even when she doesn’t because she is a big girl now. And when my best friend laughs at my stupid jokes and says, “Oh, Isla,” when she says my name just so, then I am home, too. What can your readers look forward to next? Are you working on something that deals with similar themes as Above, or something completely new? I wrote my first book in a closet, which is probably a fitting metaphor to describe my writing life. Always there is the faint dread that my efforts will amount to a series of false starts, so cloistered, I will disappoint no one except myself. I can say my current story is going to be very different than either of my other books, and rather than jumping ahead in time, it goes back in time. "Reeled out with the chilling calmness of a Hitchcock film, Above haunts as it illuminates. Deftly told, this tale of human resilience in the face of madness is a horror classic for our times." "The isolation and darkness wrap you like wild vines and force you to face the nightmare, but Above plunges you forward and drives toward hope, because sometimes that's all that remains. This is a novel that challenges you to believe." "A riveting, heartstopping tale of determination, love and hope for the future." Combine the terror of Emma Donoghue's Room with the drama of The Hunger Games and you'll get a rough idea of how gripping Above is. Can someone make a film adaptation please?